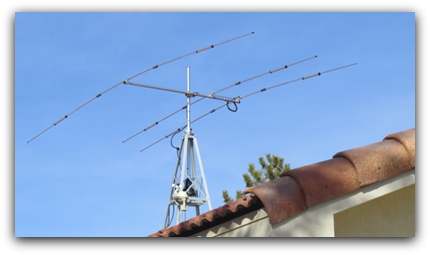 The Mosley Mini series is the answer to the antenna space problem, while giving you great performance and durability. The Mini series is built in the Mosley tradition of quality, simplicity, and strength. The Mini series uses the same 6063-T832 aircraft drawn telescoping tubing, stainless steel hardware, and comes with a 2 year warranty. 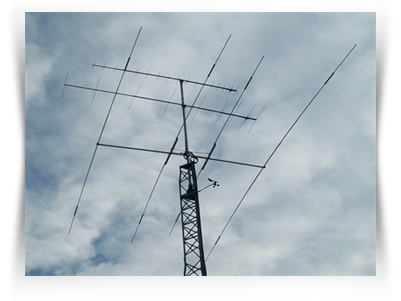 Even though the antennas are small in stature; they are capable of taking a 1/4" of radial ice at 60 m.p.h, and 80 m.p.h. with no ice load. RUN LOW POWER? CRAMPED FOR SPACE? The Mosley MINI Series will GET YOU OUT! Automatic band switching by means of high-impedance resonant trap circuits. The performance of the Mini series will truly surprise you! Whether you enjoy chasing DX or rag chewing with your friends, the MINI series will give you years of enjoyment! The ORIGINAL compact, lightweight beam! Before the MINI; there was the JUNIOR. Like other Mosley designs, the Junior has been imitated by the competition, but never duplicated! The Trap Master series, still the most copied, broadband, multi-band beams made! Rugged construction and designed for the Amateur with a limited space and a tight budget. 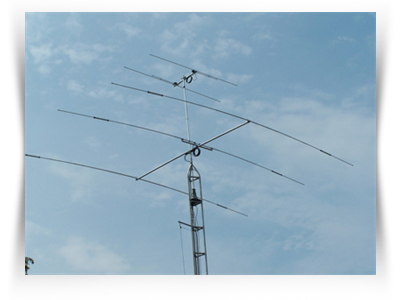 All Mosley Amateur antennas are backed with a two warranty against any defects of material or workmanship. Tri-band, 2 element, low power beam. 5-band, 3 element low power beam. Tri-band, 3 element low power beam. 5-band, 4 element low power beam. Tri-band, 2 element compact beam. 5-band, 3 element compact beam. Tri-band, 3 element compact beam. 5-band, 4 element compact beam.